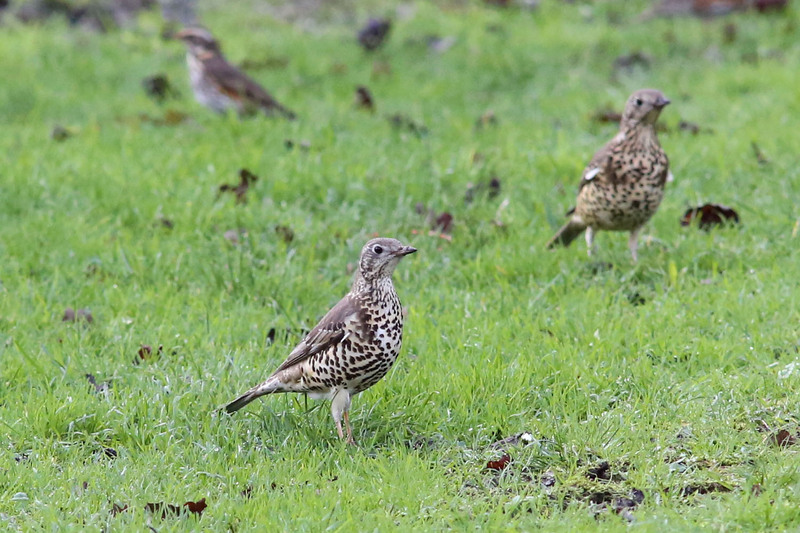 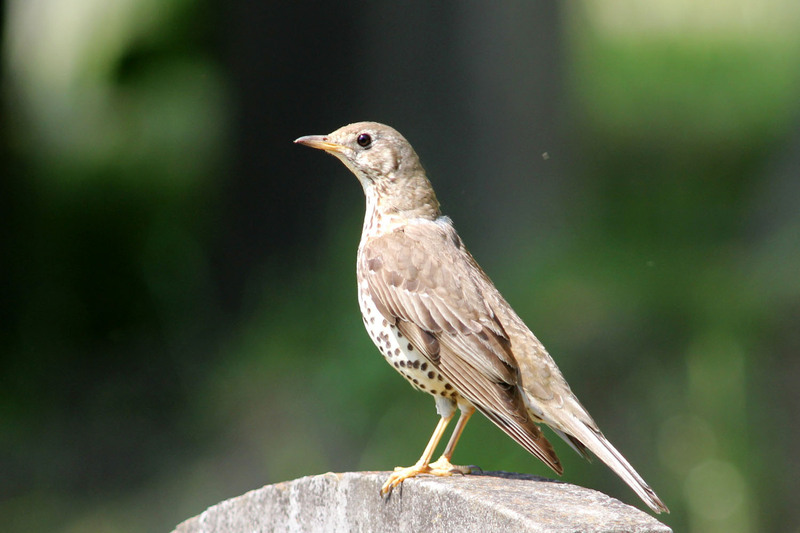 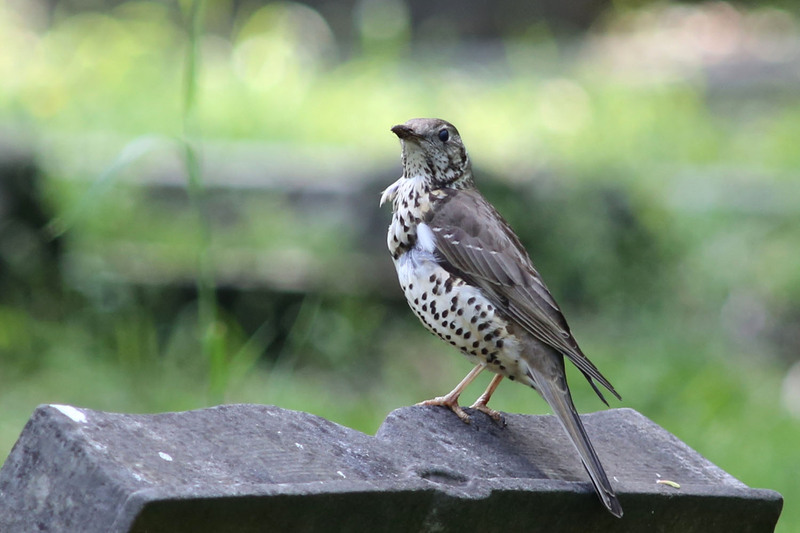 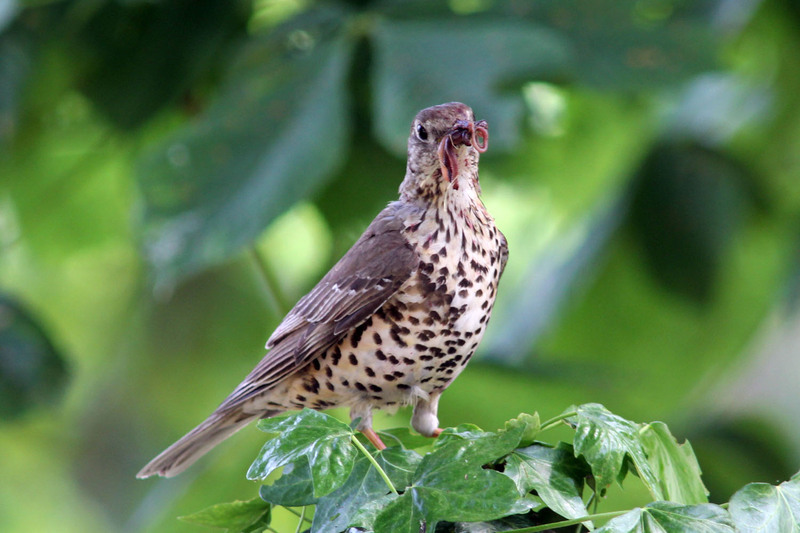 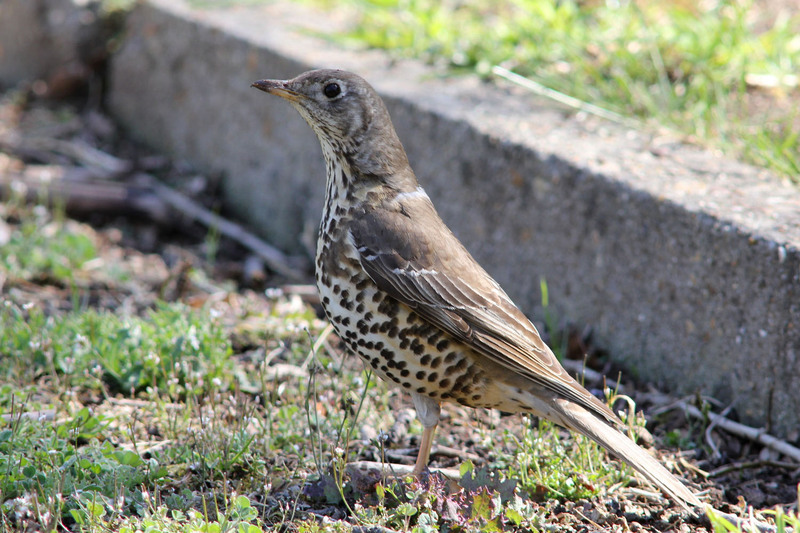 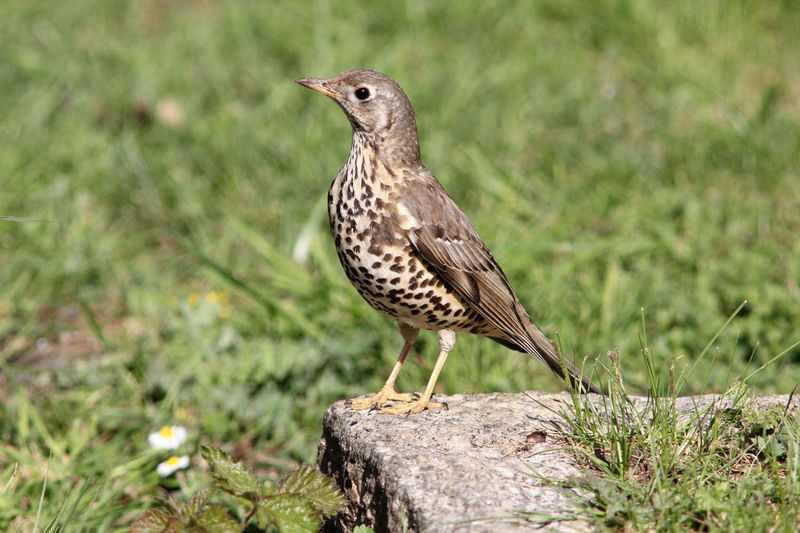 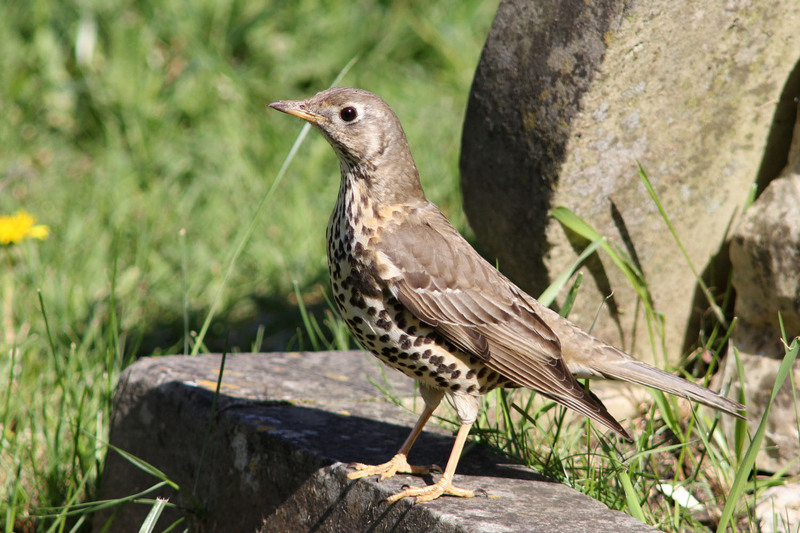 The Mistle Thrush is less common in our gardens than its cousin the Song Thrush to which at first glance is very similar. 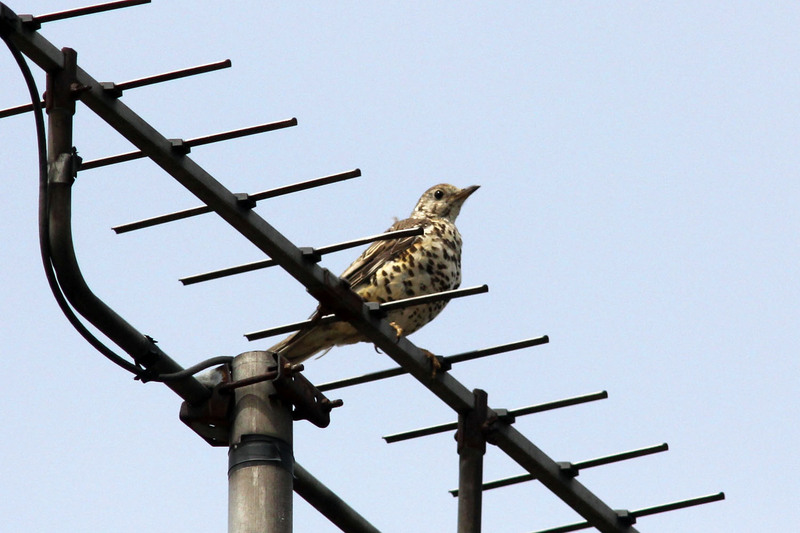 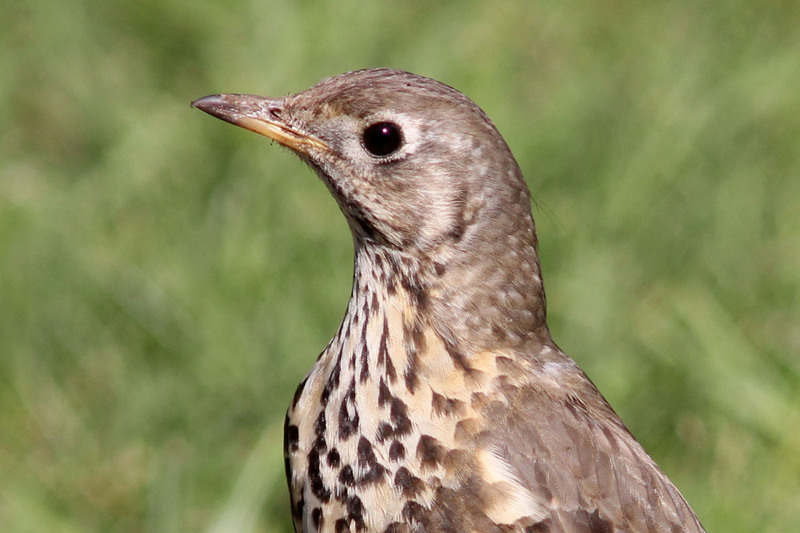 The Mistle Thrush is slightly larger and is grey on the back of its head and back as opposed to the brown of the Song Thrush. 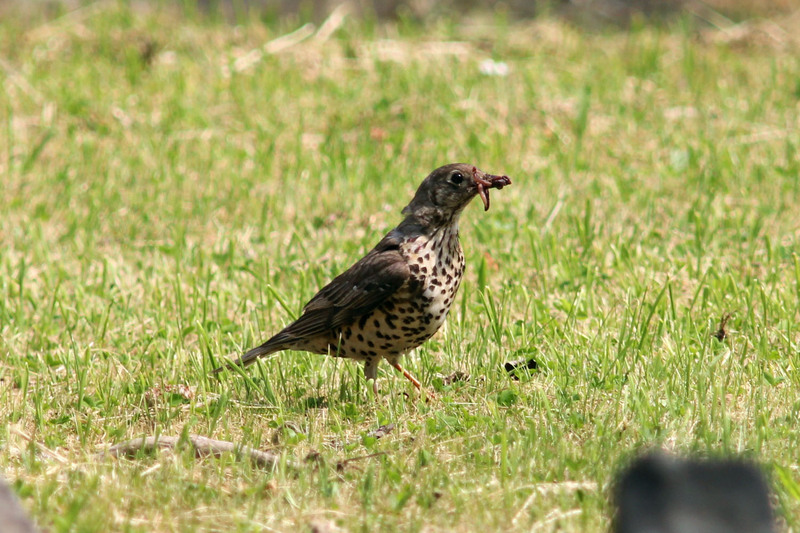 Its belly spots are also rounder and less like arrow heads. 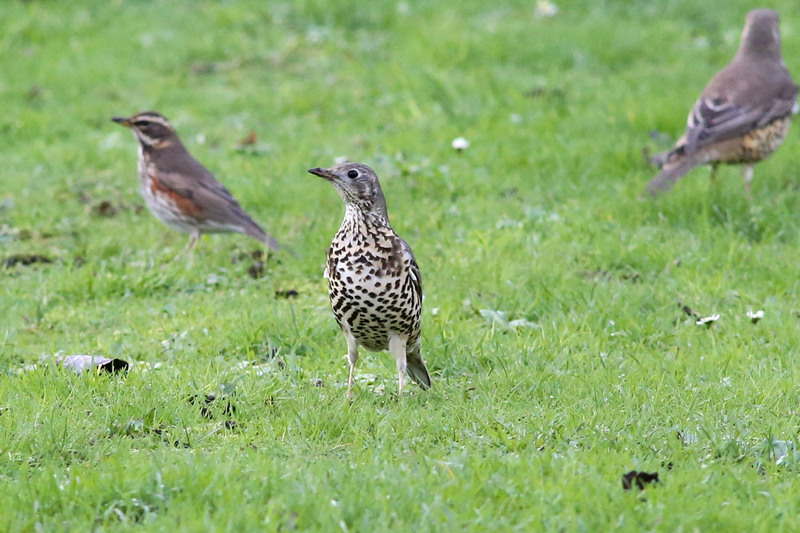 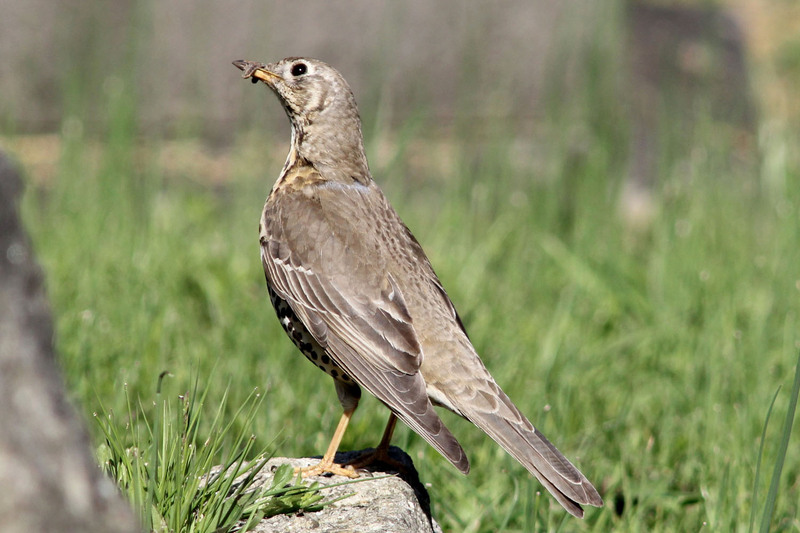 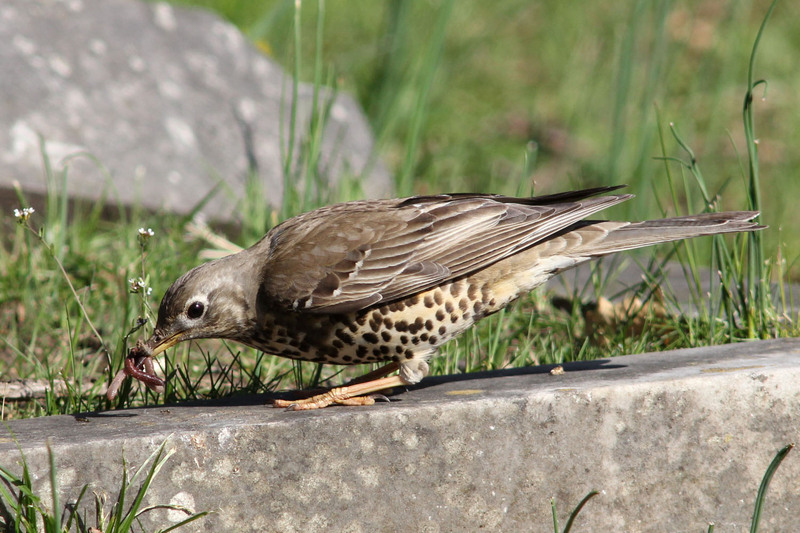 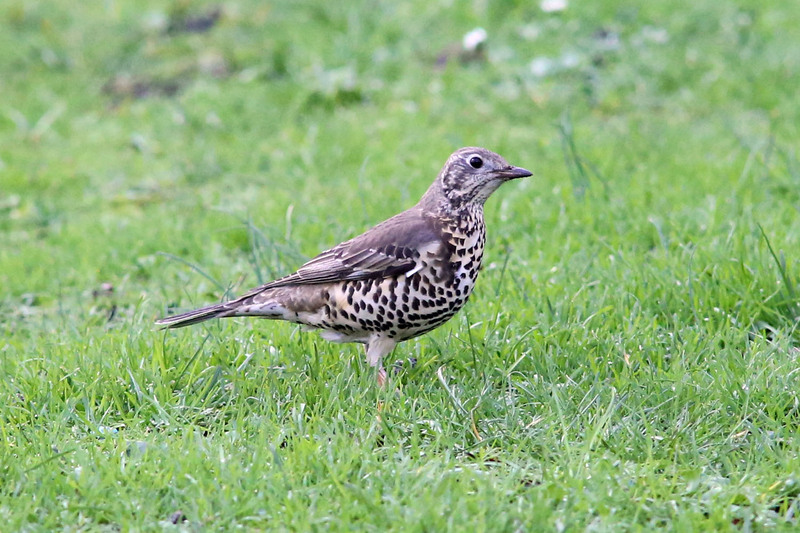 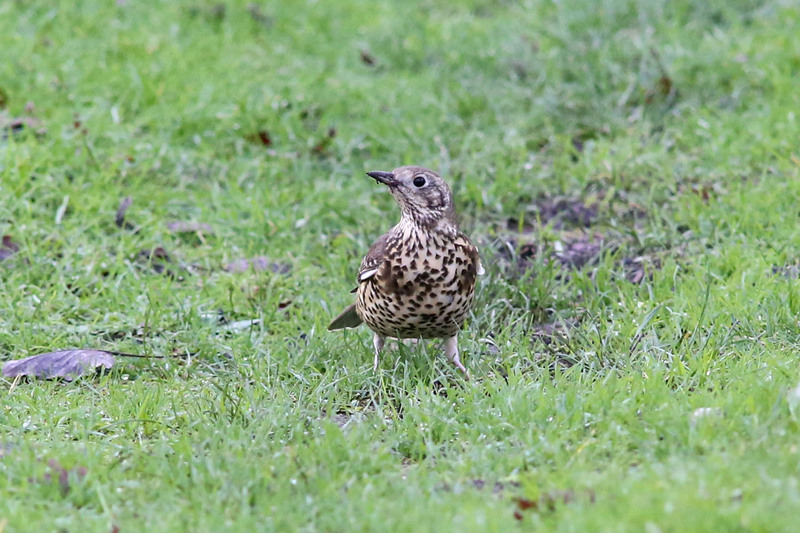 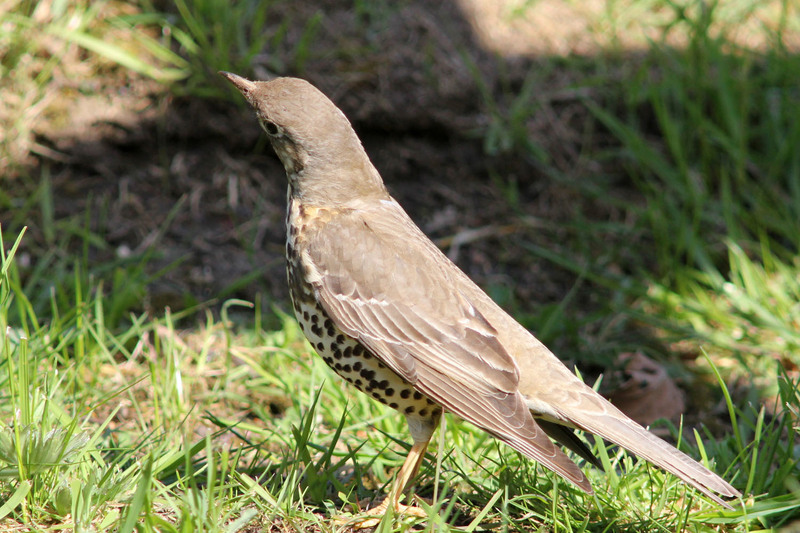 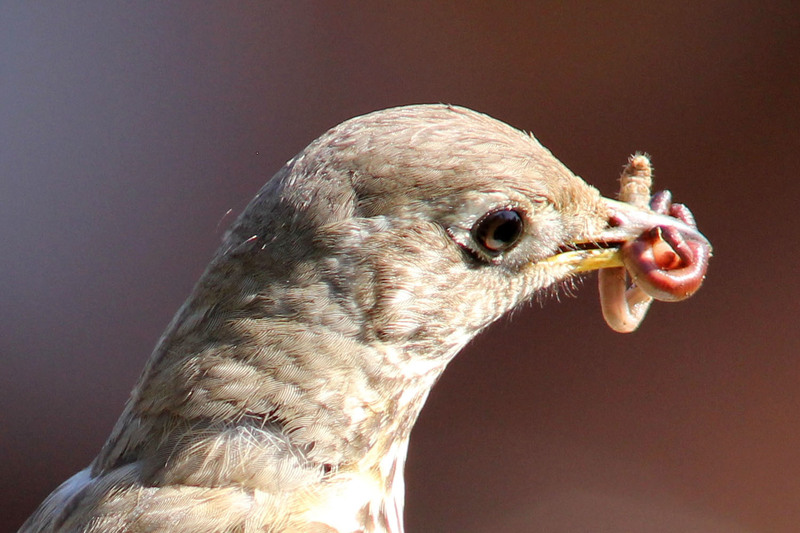 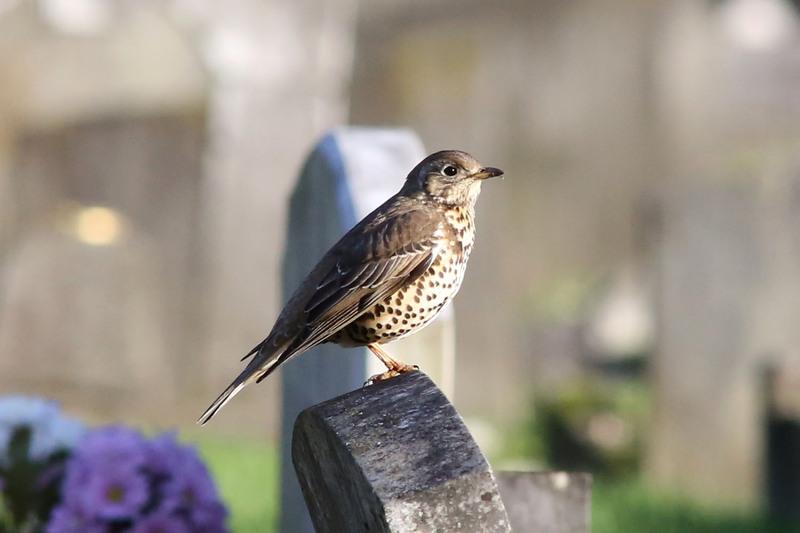 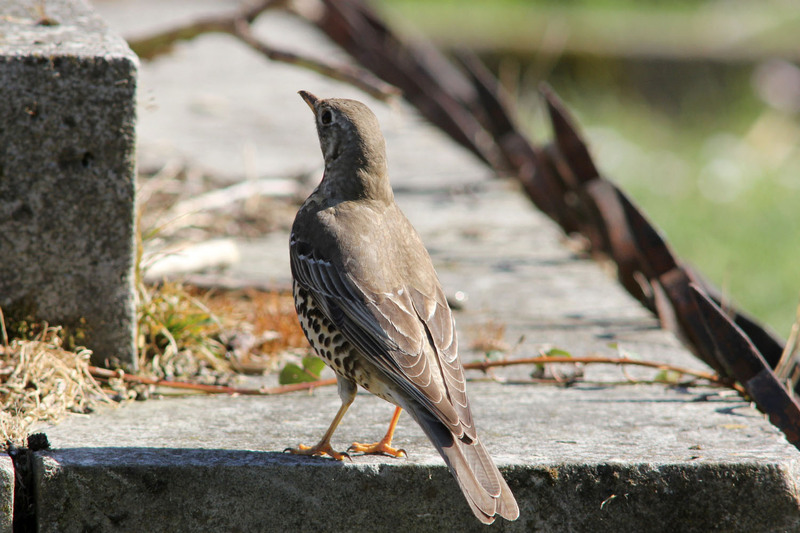 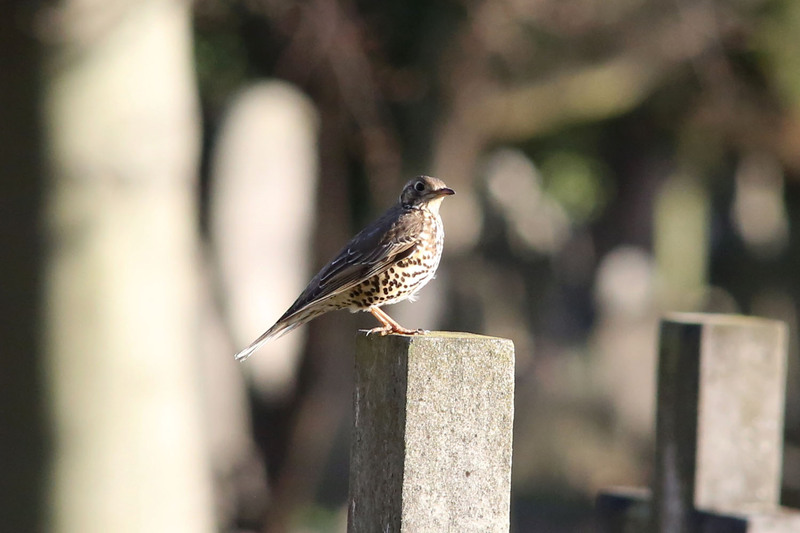 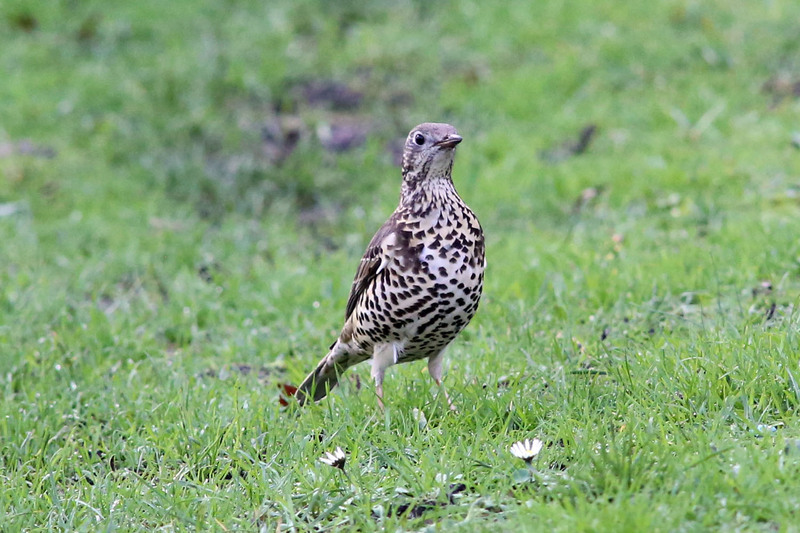 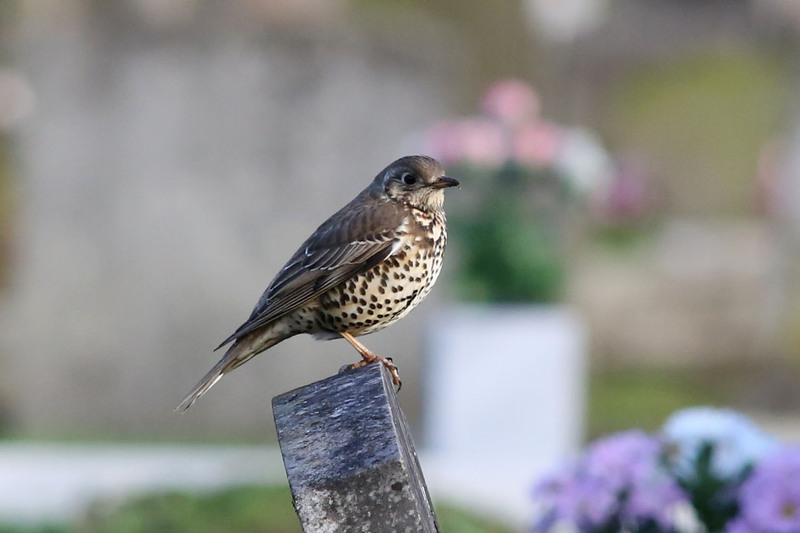 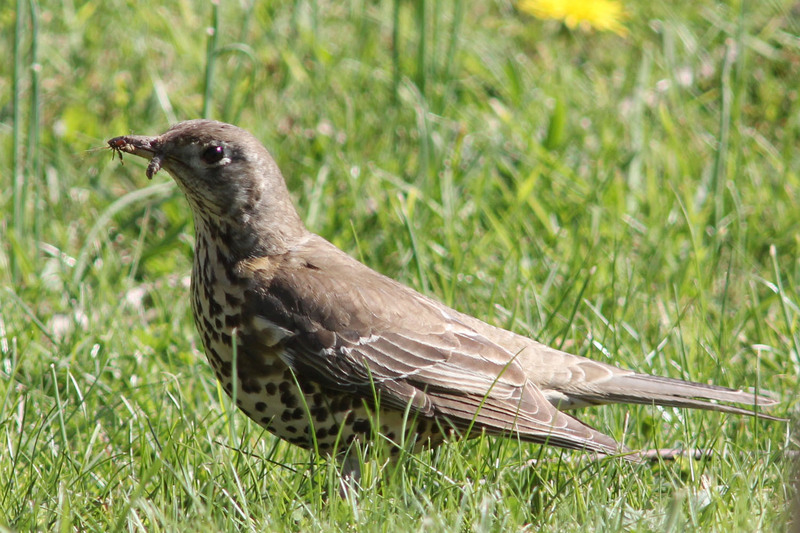 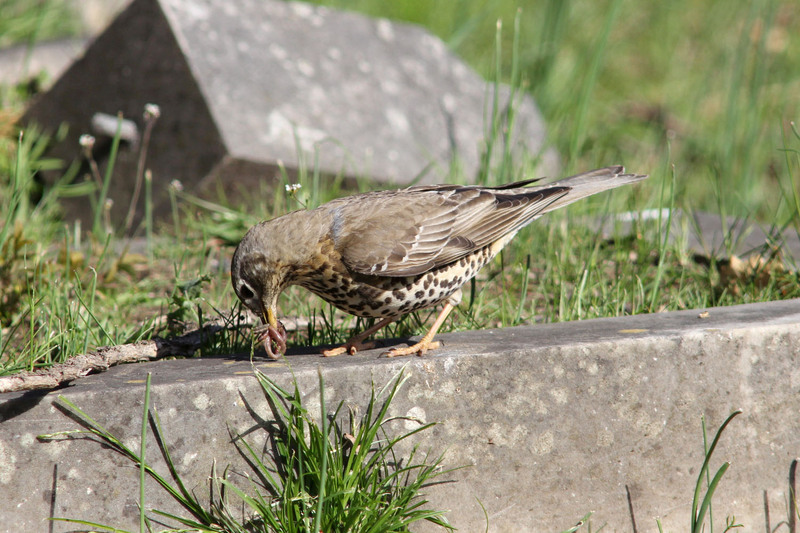 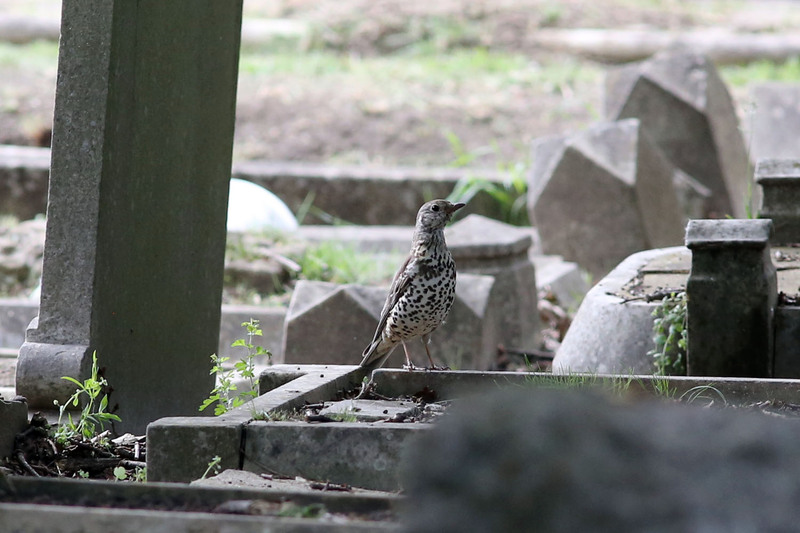 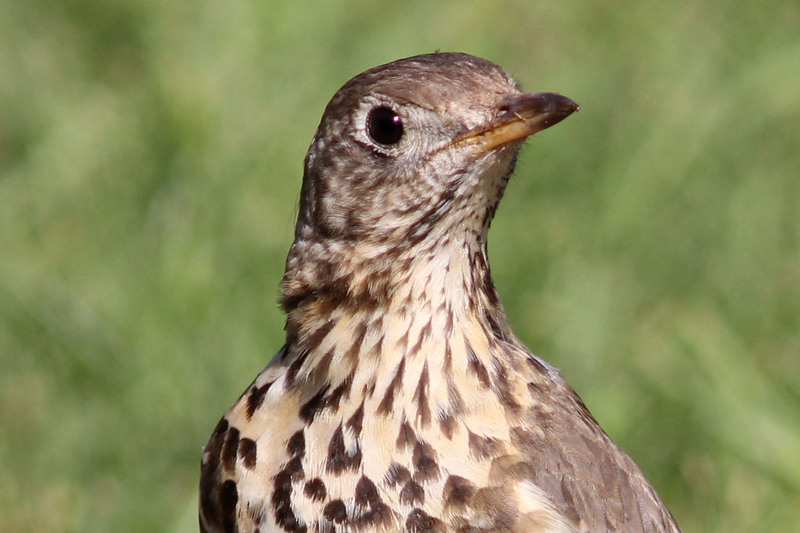 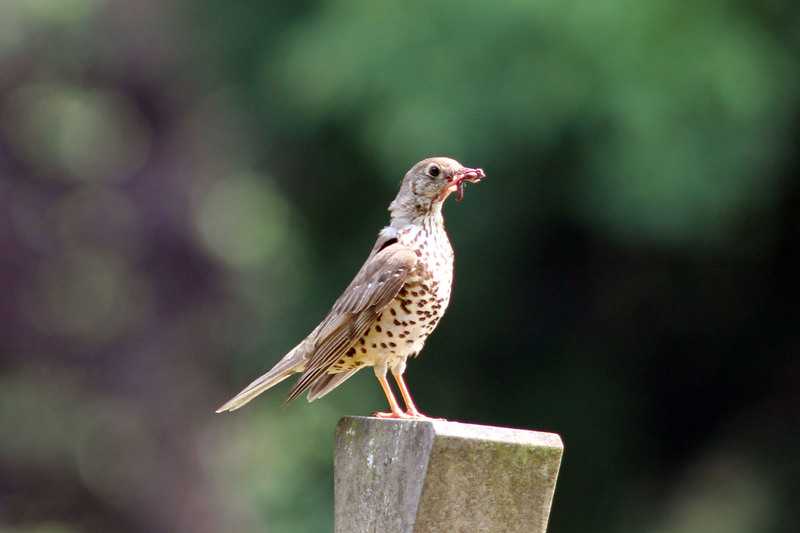 A Mistle Thrush searching for earthworms.